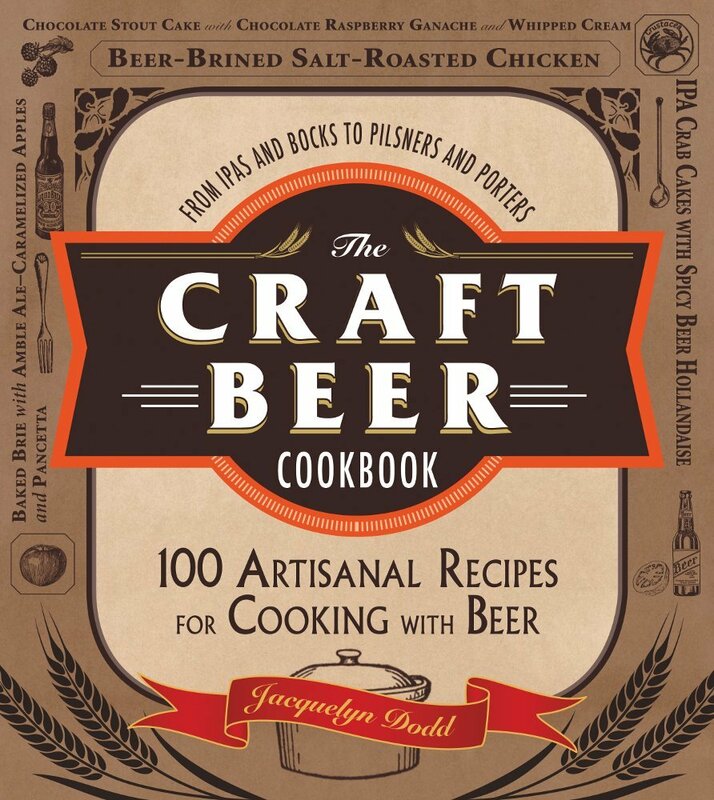 So here I am, trying to stay as healthy as possible until I can school the Los Angeles metro area on the mid-day news with an introduction to cooking with beer all while still trying to run two food blogs that dazzle you with fun and delicious food. Not as easy for me as I’d like. I did, however, discovered that if I give up dairy, which I already find skeevey in it’s unmanipulated state, the battle to lose those last few pounds becomes much easier. Butter and goat cheese have been the only real sacrifices, the rest has been easy to ignore or replace. Don’t forget to come back on Wednesday when I give the best chocolate ice cream I have ever had that happens to be dairy free. It’s insane how creamy it is. You’ll want that recipe. This recipe, which is dairy and gluten-free, gives you this delicious little mini burgers that are only about 90 calories each. And I am now one step closer to cooking on TV and not crying about it. In a bowl, combine all the the patti ingredients (except the chicken broth) with your hands until well combined. Spray the inside of a skillet (with a lid) with cooking spray, allow to get hot but not smoking. Form the chicken mixture into patties about the width of your zucchini slices and about 1/2 inch thick. Cook on one side until browned on the bottom, flip and allow to cook for about 1 minute. Add the chicken broth until about half way up the sides of the chicken patties. Cover with a lid and allow to steam for about 3 to 5 minutes or until chicken patties are cooked through. Because fat is responsible for moist patties, very lean meat becomes dry very easily. This is the method I use to make sure the chicken is cooked through but is not dry. Remove from pan and allow to drain. Add the patties to the zucchini slices, top with condiments and serve. 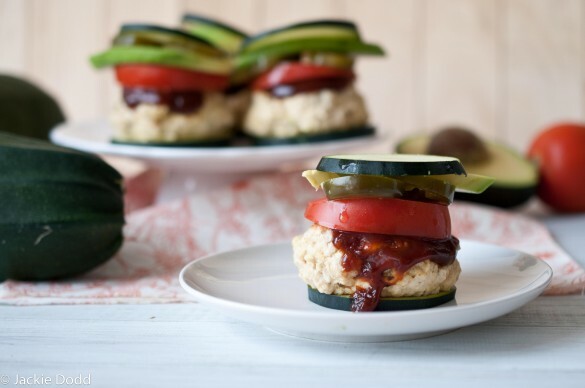 these look fantastic + I love that they’re low-carb to the zucchini ‘buns.’ you’re going to rock your tv appearance, by the way! Thanks Amy! I hope so. I’m not nervous yet, but I’m sure that will come sooner or later. LA is huge market! You are a rockstar, I can’t wait to see you on TV! Love these little sliders! Thanks 🙂 I hope they have a live feed on the website,but if not you know I’ll be posting a video. I’m just now giving up gluten. I needs to spend a while learning much more or figuring out more how to do it. Thank you for wonderful slider recipe with the zucchini bun! You are so creative. Thank you! There are so many great websites now, so much more info out there than there used to be. GREAT idea! So cute. So petite! So delish I’m sure! Will definitely be trying this seeing that just about every friend has given me extra zucchini! Oh yum! Low-cal or not, these look great! First of all, these looked friggen amazing. I love the zucchini bun thing, super clever. Second of all.. . I’m goona need to know about this sauce that is picture but that you do not speak of.. .
Oh, what a great idea! 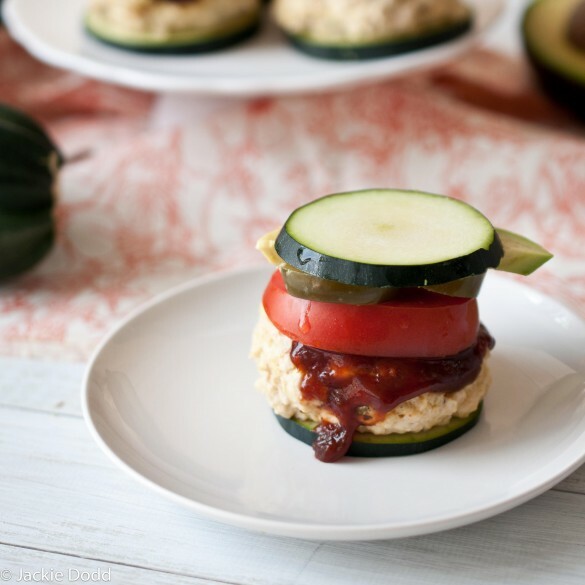 A good crunchy home-grown zucchini would be just the perfect replacement for a carb-loaded bun! You gave up butter and goat cheese?! Talk about willpower! But seriously, these sliders are genius. I have to lay off the carbs man. You gave up BUTTER? Really?! WOW! I’m truly impressed. 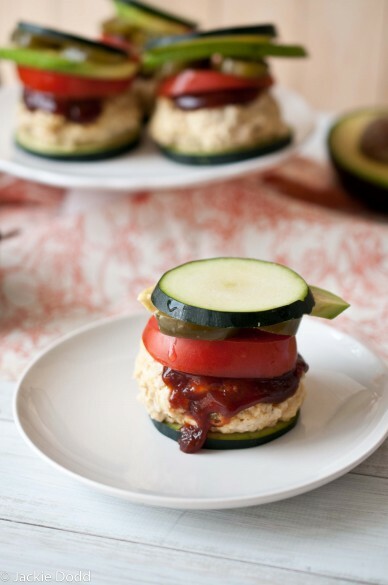 Using zucchini buns is such a fantastic idea! These do look healthy and delicious! Guess what? I just found out I have a gig on Fox here next Friday so we are in the same boat of freaking out. Yay for you! You have so many great recipes I know you will rock it! these are SOOOOOO CUTE!!!!!!!! and you’ll knock em’ dead, I have no doubts. It’s completely a temporary situation, I could never give it up for good! But sometimes, a cleansing plant centric diet is just a good move for body and soul.